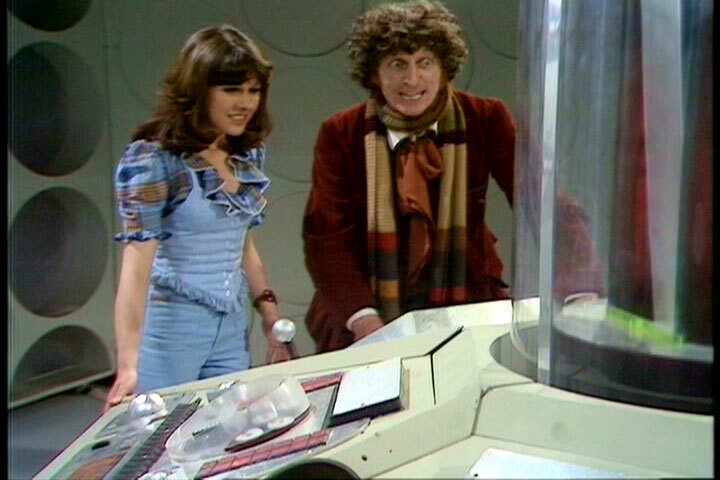 This week’s tale, Planet of Evil, sees the Doctor (Baker) and Sarah-Jane (Elisabeth Sladen) responding to a distress call from the planet Zeta Minor, giving their original destination of London a complete miss. Written by Louis Marks, this serial aired from 27 September to 18 October, 1975. Arriving on the planet, they find that a geological expedition that has been there conducting research and collecting samples have suffered severe, and mysterious losses, with only Professor Sorenson (Frederick Jaeger) surviving, and completely obsessed with finishing his research no matter the outcome. Meanwhile, approaching the planet is a probe ship, commanded by Salamar (Prentis Hancock) has also received the distress signal, and has orders to recover Sorenson and his party. The Doctor is convinced that the planet somehow contains a vortex, which they shortly thereafter discover, that opens up on the anti-matter universe, and that the life that exists within it, is finding away over to our universe, and destroying any sentient life it comes in contact with, possibly by mistake, but always with horrifying results. 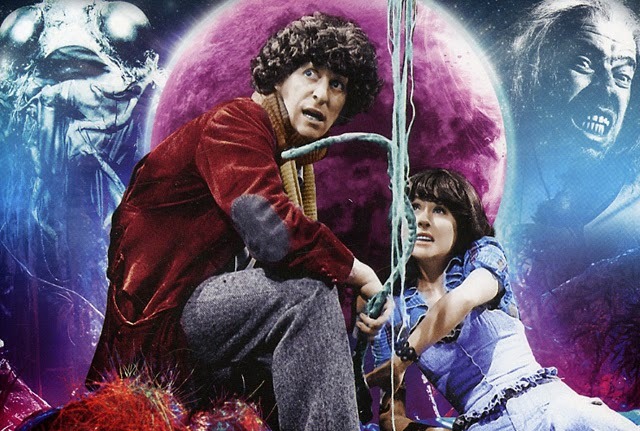 The crew of the probe ship are intent on making their escape from the planet, even though they may not necessarily believe everything the Doctor is telling them. They do their best to get rid of any anti-matter samples that may have been brought aboard, but unfortunately, Sorenson is slowly being consumed by one of the intelligences from the anti-universe, and beginning a transformation into an anti-man. Sorenson brought snuck his own samples aboard, refusing to give up all his research, and possibly due to the control of the anti-matter intelligence growing within him, which we can tell is happening, because his eyes glow red! The pull of the anti-matter to the vortex on the planet only lets the ship get so far into orbit, the Doctor likening it to a rubber band, only allowing them to get away so far before it snaps them back towards the surface at a terminal velocity. They’ll have to find the anti-matter, and stop Sorenson (who is killing members of the crew, and also infecting others, transforming them as well), and eject them from the ship if they hope to survive. Through all of this, a number of the crew, including Salamar, to a point, still believe that the Doctor and Sarah are responsible for everything. Finally proving the truth of what they are saying, our heroes save the day, and get ready for their next adventure. This, for me, wasn’t the most captivating of stories, and actually seemed to drag in some parts, it just didn’t have the punch and excitement of the other Baker stories to date. Not to worry, I’m sure there will be more fun, next time, when we visit the Pyramids of Mars! Previous Post Suburban Gothic (2014) – Richard Bates Jr.